Comfy as a cloud, fast as the Flash. 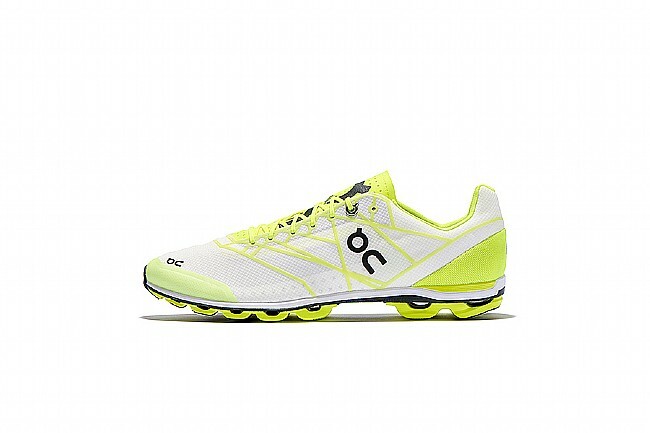 When you're out to win races, look no further than the pro-tuned Cloudlfash from On Running. 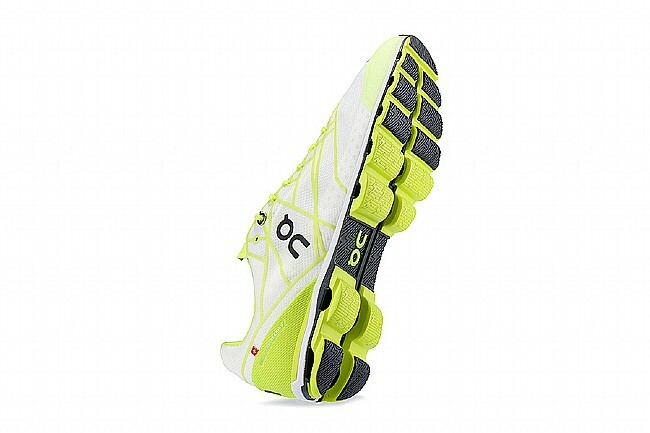 This ultra-light shoe features an impossibly light mesh construction. Starting with the ultra-thin nano-mesh, this airy material is supported by a skeletal-structure, working together to achieve impossible lightness without skimping on support. 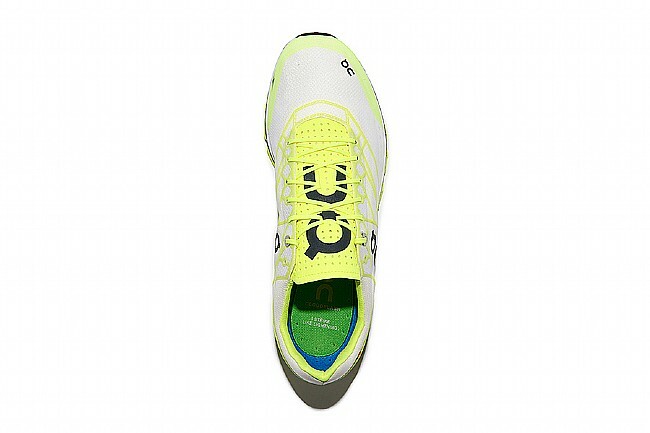 Down below, On's Speedboard sole propels you to victory with its 14 Cloud elements. Shaped to transfer impact energy from the runner into forward momentum, the elements are built from Pebax, unparalleled in energy transition and fatigue resistance. 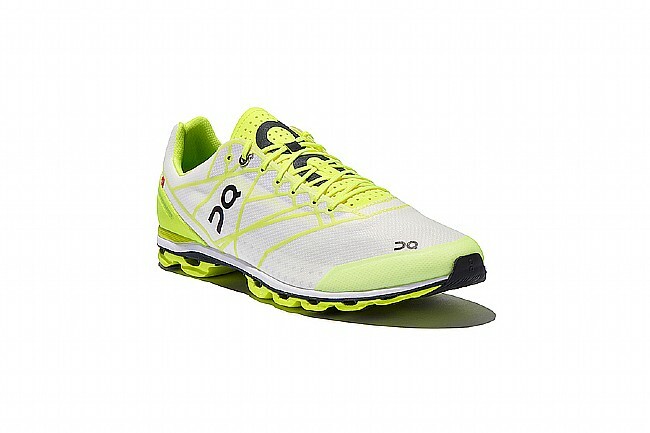 With an ultra-light airy-mesh construction, these shoes are designed for race-worthy comfort and performance. 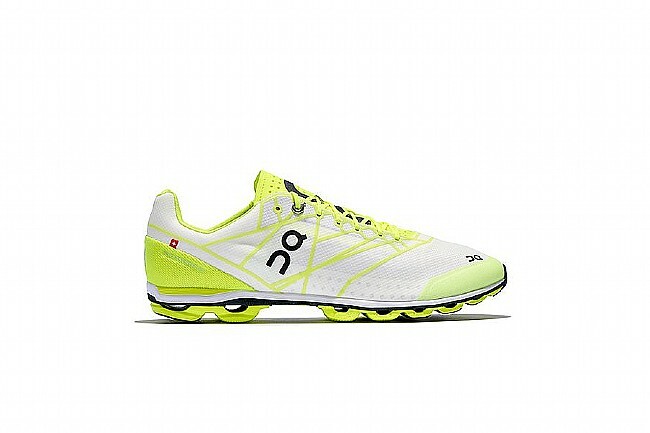 Shaped for the racer's needs, a performance heel-cap cups the heel for a secure fit. 14 Cloud elements transform and transfer energy from impact to momentum. Speedboard sole provides unparalleled energy transition and fatigue resistance.